United Riverhead Terminal's owner, grocery and real estate magnate John Catsimatidis, said his company had become frustrated with opposition. 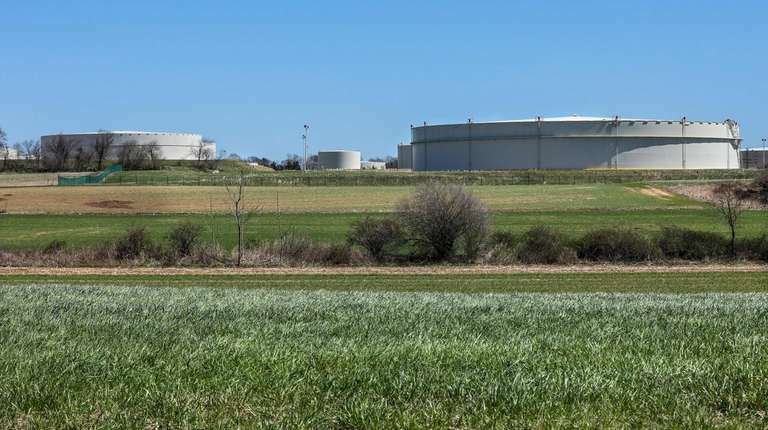 United Riverhead Terminal has withdrawn its plans to build biodiesel fuel tanks in Jamesport amid resident concerns about traffic and safety. 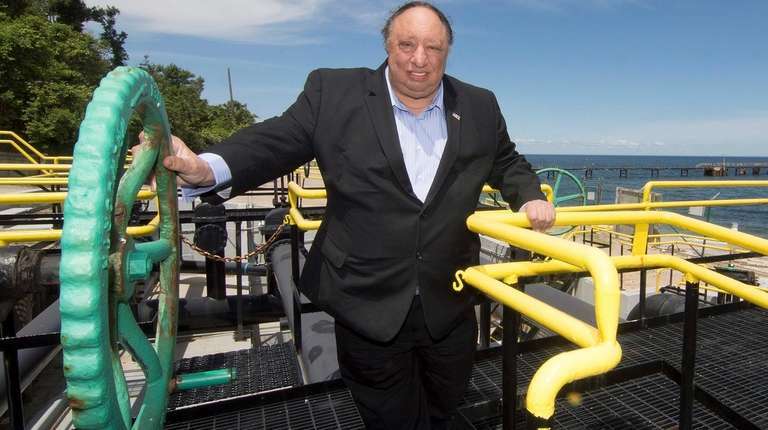 The company, owned by Manhattan grocery, real estate and energy magnate John Catsimatidis, sent a letter to Riverhead Town Hall, dated April 5, stating it was withdrawing the application to build a 28-foot-by-45-foot pad with six biofuel tanks at 212 Sound Shore Rd. “United Riverhead Terminal, Inc. hereby withdraws its application for a special use permit. Thank you for the time and effort the town has put into our application,” stated the letter, signed by Nelson Happy, the firm's vice president. Catsimatidis said Tuesday in an interview that company officials had become frustrated with the application process. The company had asked to build the pad in compliance with a law passed in September 2017 that mandated all heating oil sold for use in any building in Nassau, Suffolk and Westchester counties on and after July 1, 2018, be bioheating fuel that contains at least 5 percent biodiesel. On Feb. 22, the Riverhead Town Board tabled a resolution to approve the permit due to residents’ concerns regarding truck traffic potentially increasing in the area. Questions were also raised about whether the company’s plan to acquire property on Penny’s Road via eminent domain — to allow incoming trucks to turn onto westbound Sound Avenue — was feasible. Catsimatidis said the situation ultimately made him feel that Riverhead had an “anti-business sentiment” against his company. 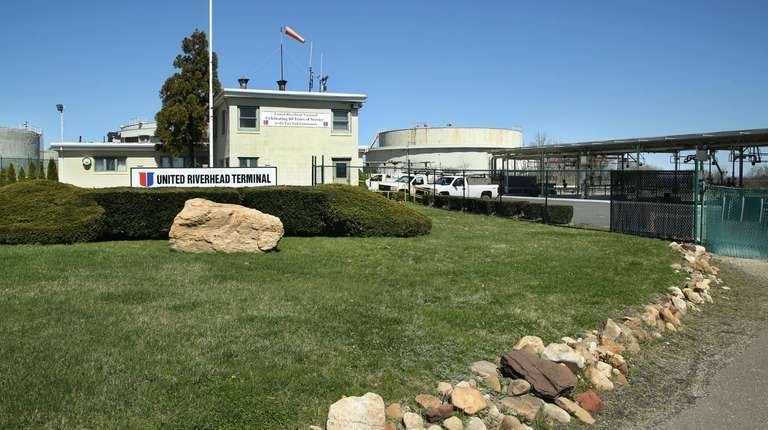 Riverhead Supervisor Laura Jens-Smith said Tuesday that though United Riverhead Terminal was “accommodating” during the process, the main problem was that the company’s application came in only a few months before the law went into effect in July. Linda Prizer, president of the Northville Beach Civic Association, said Tuesday that her group, which opposed the pad and fuel tanks, was “much happier” with the proposal off the table.